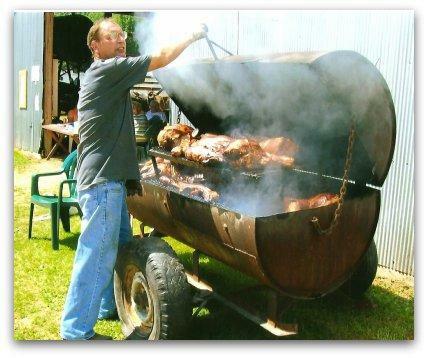 Saturday ride starts at 1:00 p.m. Potluck to follow, bring dish to pass. Camping available. Sunday ride for those that stay overnight. Annual Alma Ride, August 2011 on the 12th, 13th and 14th. Tentative Schedule-Friday 6:00 p.m., Sat. 1:00 p.m., Sunday 10:00 a.m. Sat. 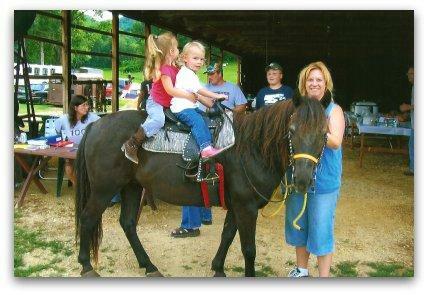 ride - $15/person donation and $5 for children 10 years and under; Includes hog roast, beer, soda. Bring Dish to Pass. 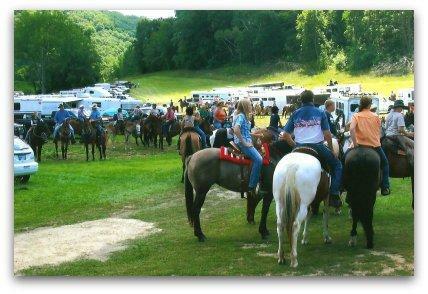 Every Year hundreds of people gather at the Lazy R Ranch for one of the greatest trail rides of the year! There's always really good food, live music, and everyone has a great time! 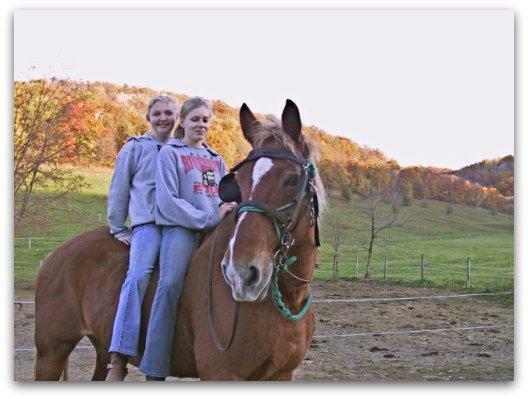 Bring your horse and ride together on Secrist's breathtaking trails! 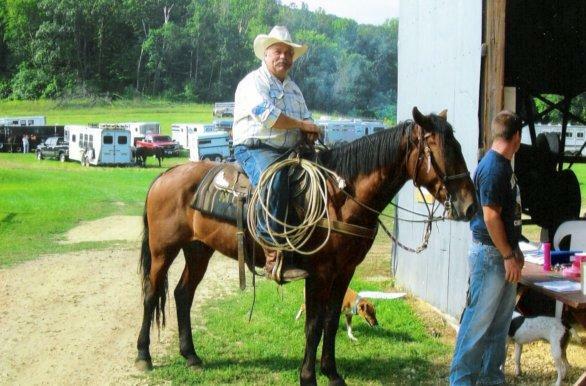 Secrist Ranch is located at 1703 Secrist Ln in Alma, WI. Take the Great River Road/State Rd 35 South. After leaving Nelson, WI, it's about 7-10 miles. Turn Left on Hwy 37 for about 2 miles (if you go into Alma, you've gone too far). Turn Right on Secrist Lane, just before the County Hwy Dept buildings (If you pass the sheds, you've gone too far). Take the Great River Road/State Rd 35 North. Go through the town of Alma. Just North of Alma, turn Right onto State Rd 37. Turn Right on Secrist Lane, just before the County Hwy Dept buildings (If you pass the sheds, you've gone too far). Follow State Rd 37 west. After you go through the small town of "Tell", watch for Co Rd S. Take second left after S onto Secrist Lane. You should see County buildings on your left. You can cross over into WI in either Red Wing, Wabasha, Winona, or La Crescent. After crossing, take the Great River Road either North or South. See directions above for further instruction.